Colorful interspecific mixes are the trend of the market. 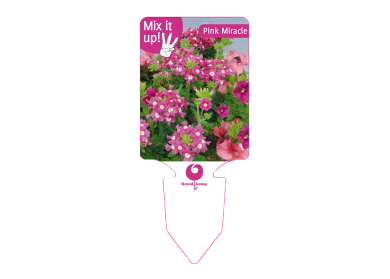 We have put together the perfect combinations, suitable for hanging baskets and/or pot culture. We deliver the youngplants of each variety or the mix as half-finish plants in the Mix-It-Up pot, with image lable optional. Marisco – Belem Burgundy Impr.